Standing for Flash Video, a file with the .FLV file extension is a file that uses Adobe Flash Player or Adobe Air to transmit video/audio over the internet. Flash Video has long been the standard video format used by nearly all embedded video on the internet including the videos found on YouTube, Hulu, and many more websites. However, many streaming services have dropped Flash in favor of HTML5. The F4V file format is a Flash Video file that's similar to FLV. Some FLV files are embedded in SWF files. FLV files are most commonly known as Flash Video files. However, since Adobe Flash Professional is now called Animate, files in this format might also be referred to as Animate Video files. Files of this format are usually created using the Flash Video Exporter plug-in included in Adobe Animate. Therefore, that program should open FLV files just fine. However, so can Adobe's free Flash Player. 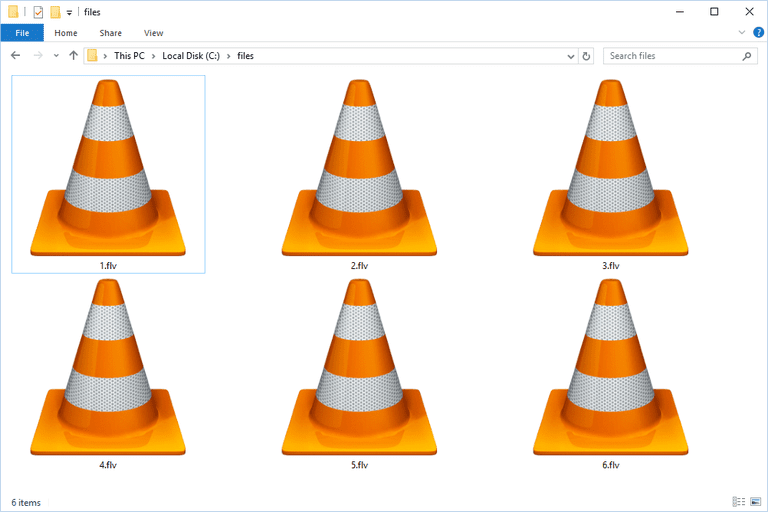 More examples of FLV players include VLC, Winamp, AnvSoft Web FLV Player, and MPC-HC. Other popular media players probably support the format, too. The free PlayerXtreme Media Player can play FLV files on your phone or tablet. It supports lots of other file formats, too. You can download this app to open FLV files through Google Play for Android or iTunes for iOS. Several programs also exist that can edit and export to FLV files, including Adobe Premiere Pro and DVDVideoSoft's Free Video Editor. There are lots of free file converters out there that can convert FLV files to other formats that can be recognized by a wide variety of devices and players. Freemake Video Converter and Any Video Converter are two examples that convert FLV to MP4, AVI, WMV, and MP3, among many other file formats. If you need to convert a small FLV file but aren't sure which format to use for your device, we recommend uploading it to Zamzar, a free online file converter. FLV files can be converted to a variety of formats like MOV, 3GP, MP4, FLAC, AC3, AVI, and GIF, among others, but also to a handful of video presets like PSP, iPhone, Kindle Fire, BlackBerry, Apple TV, DVD, and more. CloudConvert is another free online FLV converter that's really easy to use and supports saving FLV files to a number of different formats, like SWF, MKV, and RM. FLV isn't the only Flash Video file format. Adobe products, as well as third-party programs, also may use the F4V, F4A, F4B, or F4P file extension to indicate a Flash Video. Like we mentioned above, some websites offering streaming content, like Facebook, Netflix, YouTube, Hulu, etc., used to support Flash as their default video file format but have been moving over or completely eliminating, all Flash video files in favor of the newer HTML5 format. This change has been fueled by the fact that Adobe will no longer support Flash after 2020. Also, since Flash isn't supported on some devices, there needs to be a browser plugin installed in order for Flash content to play within a website. It also takes much longer to update Flash content than it does other formats like HTML5. If the programs mentioned above don't open your file, double-check that you're reading the file extension correctly. If the software on this page won't open the file you have, it's probably because it just looks like an .FLV file but is really using a different suffix. For example, you might find that you really have an FLP file, which could belong to the FL Studio Project, Floppy Disk Image, ActivPrimary Flipchart, or FruityLoops Project format. In any of those cases, the FLV players above aren't appropriate for opening the file. In the instance of FLP files, you might actually have a Flash Project file, and it therefore should open with Adobe Animate. FLS files are similar in that while they might be Flash Lite Sound Bundle files that work with Adobe Animate, they could instead be ArcView GIS Windows Help Supporting files and used by ESRI's ArcGIS Pro software. LVF is another example where the file belongs to the Logitech Video Effects file format but the file extension closely resembles FLV. In this case, the file would open not with a video player but with Logitech's webcam software. You get the idea here: check the file extension, and if it's not ".FLV" then you should research the real letter/number combination to determine the file format and eventually the program that's responsible for opening or converting it.